In 1898, Robert H. Goddard, a boy living in Worcester, Massachusetts, read two science fiction stories in the Boston Post: “Fighters from Mars, or the War of the Worlds,” by H. G. Wells, and “Edison’s Conquest of Mars,” by Garrett P. Serviss. His imagination gripped, young Goddard began to think about how to accomplish the physical marvels set forth in those stories. Goddard had been infected by the space dream. First through imaginative fiction, then by that moment of insight or conversion that has affected so many others, he was changed into an advocate of spaceflight. That dream has a long history, suggesting that it reflects deep human motivations. In Western Europe, the theme of journeys to other worlds turned up periodically in works of fiction during the Renaissance and the Age of Reason, and it began to take more realistic form in works of science fiction in the latter nineteenth century, notably by Jules Verne and Kurd Las switz. The idea was given new relevance in the public imagination in 1877 when the Italian astronomer Giovanni Schiaparelli announced that he had discovered “canali” on Mars. In the late 1890s and early 1900s, American astronomer Percival Lowell popularized the idea of an alien civilization on the Red Planet, stimulating works of fiction by Edgar Rice Burroughs and others. After the first issue of Amazing Stories in 1926, space themes became a mainstay of the growing field of American science fiction, stirring space dreams among its readers. Unlike most of those intrigued by the idea of space travel, Robert Goddard went on to make major contributions to spaceflight. In the best American tradition of the individual inventor helped by a few assistants, he designed and tested liquid-fueled rockets, launching one for the first time on March 16, 1926. (That date remains a major anniversary on the space interest calendar.) Goddard speculated about reaching the Moon, drawing on the resources of the Moon and the asteroids, and even about interstellar flight. However, because of criticism and ridicule about the idea of a “Moon rocket,” Goddard published little, and most of his achievements were not known to the world until much later. Other pioneering thinkers had a more direct impact within their own cultures. The deaf Russian schoolteacher Konstantin Tsiolkowsky independently conceived many of the basic ideas of spaceflight between the 1890s and the 1930s, sometimes communicating them through works of fiction, although he was virtually unknown in the West before World War II. In Germany, Hermann Oberth provided a firm theo­retical foundation for spaceflight in the 1920s, as well as suggest­ing some of the useful things we could do with space technology, and served as an adviser in the making of a 1929 film about a journey to the Moon. These seminal thinkers, plus others only slightly less famous in the space fraternity, set the intellectual context for flight into space and for travel to other worlds. They stimulated others to speculate about journeys into space, sometimes in works of science fact, at other times in science fiction. Some of the converts tried to turn the vision into reality by working on the technology and by forming organizations to advocate spaceflight. The first significant pro-spaceflight organization was the Verein fur Raumschiffahrt (Society for Space Travel), founded in Germany in 1927. One of its early members was the young Wernher von Braun, who had been stimulated at least in part by the Lasswitz novel Two Planets. An American Interplanetary Society was created by science fiction writers and readers in New York in 1930, and a British Interplanetary Society was organized in Liverpool in 1933. In the Soviet Union, rocket societies sprang up during the same period. A common theme among these societies was to advance the enabling technology of the rocket. German, American, and Russian experimenters began testing small rockets in the 1930s (such experimentation was forbidden in Britain). The ultimate goal of this work clearly was to send humans into space. Meanwhile, a small team of enthusiasts and students at the Guggenheim Aeronautical Laboratory of the California Institute of Technology in Pasadena initiated rocket testing in 1936. This project became this nation’s first officially supported rocket program and later evolved into the Jet Propulsion Laboratory, which is responsible for many of America’s missions of planetary exploration. National Air and Space Museum historian Frank H. Winter, who examined the early spaceflight groups in his book Prelude to the Space Age, saw them as parts of an international spaceflight movement. He concluded that the greatest contribution of the early rocket societies was the subtle creation of a sort of pre-Space Age “lobby” or generation that was prepared to accept spaceflight. However, the early societies did not have the resources to develop the technology of manned spaceflight themselves, and they found it difficult to sell their vision to governments, which tended to dismiss the idea of going into space as fantastic or irrelevant. Only when the rocket was linked to military need and to international political competition did the spaceflight dream become real. Primarily for those reasons, governments called on the then small cadres of experts in rocketry to develop vehicles capable of launching warheads, satellites, and later humans and formed official agencies to carry out national space programs. Although the mathematical, chemical, and metallurgical skills necessary for practical research into rocketry were present by the 1920s, the investment required for orbital flight was so large and the immediate military or economic benefits so uncertain that the genesis of spaceflight in our time is no more self-explanatory than Iberian sponsorship of world navigation for the fifteenth century. The adoption by governments of rocketry was due in large part to dedicated advocacy by individuals, small groups, and networks of people who believed in the promise of this new technology and who often shared the spaceflight dream. Sociologist William S. Bainbridge examined this phenomenon in his 1976 book The Spaceflight Revolution, chronicling how von Braun and his Russian counterpart Sergei Korolev, and their allies, persuaded their military and political masters of the military utility of rocketry, when their primary interest was going into space. For them, military rockets were a means to another end. At Peenemunde during World War II, German experts took a giant stride toward space by developing a rocket (the V-2) that was essentially a form of long-range artillery but that also tested the technology for taking payloads into orbit. In the German case, the core of the advocacy was transferred to the United States after World War II, when a team of rocket scientists and engineers including von Braun went to work for the U.S. Army. That team was to be a major influence on the course of the U.S. space enterprise for its first two decades. By 1946, rocket technology had become credible enough to be considered both for longer-range missiles and for launching satellites, although the first exploratory research programs were cancelled for lack of cost-effective missions. In 1949, an upper stage launched from a captured V-2 reached an altitude of about 250 miles, well into space. In the 1950s the rocket team developed the Redstone missile, an improvement on the V-2. Meanwhile, scientists proposed the use of rockets to launch satellites in connection with the 1957-58 International Geophysical Year. Von Braun believed that an American satellite could have been launched as early as 1956 if the Army team had not been restrained by authorities in Washington. Despite the efforts of the small spaceflight advocacy in the United States, there was no political support for manned spaceflight. The idea of travel beyond the Earth had not been accepted by the prevailing American political culture, and such projects were regarded by many as a waste of money. Even within the technical community, there were strains between visionaries like von Braun and more conservative technologists who saw many obstacles in the way. By the mid-1950s, spaceflight advocates had achieved some degree of consensus about a logical order of goals to be achieved in space. The principal stages were a rocket-powered launch vehicle (perhaps a winged rocket plane that could return to the Earth); a station in orbit around the Earth; rocket-powered vehicles to transport humans outward from the station to other bodies in the solar system; a Moon base; and a manned expedition to Mars, followed by the establishment of a base and eventual colony on that planet. There were generalized visions of travel throughout the solar system. A few visionaries predicted that someday humans would travel to other stars. In the early 1950s, Wernher von Braun, Willy Ley, and Arthur C. Clarke — all members of early rocket societies — had particular success in communicating this vision through works of nonfiction, assisted by the visualizations of a new breed of astronomical and space illustrators. They were aided significantly by science fiction writers, notably Robert A. Heinlein and Clarke wearing his science fiction hat. One effect of their works was to spread the classic agenda for manned spaceflight. That agenda had its roots in Europe, particularly in the German rocket team. The agenda was very similar to the early stages of what science fiction writer and publisher Donald Wollheim called “the full cosmogony of science fiction future history.” Long before, in the Soviet Union, Tsiolkowsky had conceived a 14-point plan for the conquest of space, which included a rocket plane with wings, space stations around the Earth, and colonies on asteroids. The classic agenda also could be seen as an upward extension of an even older dream — flight. As early as the 1930s, visionary engineer Eugen Sanger and his wife Irene Sanger-Bredt had begun designing a winged, rocket-powered craft, at one point called an “antipodal bomber,” that could take humans into space and return them to Earth. A generation later it appeared that the testing of high-speed, high-altitude aircraft such as the X-15 was leading in that direction, although in fact that road into space was not taken until 1981. However, the space dream is different from the dream of flight in at least one respect: it includes the idea of finding or making new worlds, alternatives to the Earth. The classic agenda is positive and expansionist. To the advocates of spaceflight, humanity’s outward expansion was not only desirable but obviously so. Once the tools — particularly the rocket — were in hand, they thought others would see the logic of their plans. However, their agenda was altered by the realities of politics. In practical terms, the Space Age began on October 4, 1957, with the launch of the Soviet satellite Sputnik I by means of a military missile — the same approach that von Braun had proposed. This Soviet technological and political success placed the United States under strong pressure to compete. After the American rocket designed to launch the Vanguard satellite for civilian scientific purposes failed embarrassingly in December 1957, von Braun’s Army team placed the first American satellite in orbit with another missile on January 31, 1958. The space race was on. Later in 1958, the United States took a crucial step that significantly altered the context for spaceflight advocacy. It created the National Aeronautics and Space Administration, a government agency whose primary purposes were the development of space technology and the exploration of space. This had not been anticipated by most of the early space advocates, many of whom thought more in terms of private space ventures; the one thing that no one had envisioned, states former NASA Administrator Thomas 0. Paine, was NASA. This step created an institutional advocate for the space program and provided a home within the government for some members of the spaceflight advocacy. It also lead to the formation of related oversight committees of Congress that had a strong interest in the continuation of that program. In addition, the creation of NASA established in the American public mind the idea that spaceflight was essentially an open, civilian program, distinct from military activity in space. The satellite race also led to another crucial decision: to send humans into space. The first seven American astronauts were selected and introduced to the public in 1959, in scenes dramatized in the book and the film The Right Stuff. The spaceflight dream was becoming real. The pace and direction of the American space program were affected profoundly when the Soviet Union put Yuri Gagarin into orbit on April 12, 1961. This was at a time when the United States was deeply concerned about the contest with the Soviet Union for world leadership, with national security in the broadest sense. An American-backed invasion of Cuba had failed disastrously; President Kennedy’s legislative program was encountering difficulty in Congress; and the economy was in recession (employment in the aerospace industry had dropped significantly between 1957 and 1960). Above all, the Soviets were claiming superiority in a field that symbolized technological competence and command over the future. The Kennedy administration needed a bold stroke. Space policy scholar John M. Logsdon, in his book The Decision to Go to the Moon, reported that President Kennedy asked his advisers to give him options for a race the United States could win. After the first American (Alan Shepard) rode briefly into space in May 1961 atop a Redstone rocket, NASA Administrator James Webb and Secretary of Defense Robert McNamara put together a memorandum to the President that recommended landing an American on the Moon. Significantly, that memorandum included the statement that “it is man, not merely machines, in space that captures the imagination of the world.” NASA, which had studied the possibility of a Moon landing for two years, assured government leaders that the project was technologically feasible. On May 25, 1961, President Kennedy went before Congress to say that, before the decade was out, the United States should land a man on the Moon and return him safely to Earth. This most dramatic of space decisions was from the top down and was not primarily the result of lobbying by economic or bureaucratic interests or of a specific demand from the broader public. However, the space advocacy had helped prepare the way, both by helping to develop the technology and by spreading the idea that spaceflight was feasible. Because the Moon landing program was intended to win a race, time pressure led to a short-cutting of the classic agenda for manned spaceflight. That agenda suggested first building the Earth-to-orbit transport rocket that would ferry up the parts of a space station, which in turn would be the platform for assembling and launching ships to farther destinations. For a lunar landing mission, the rendezvous between the crew and the Moonship would take place in low Earth orbit. Jay Holmes, in his 1962 book America on the Moon, reported that NASA Administrator James Webb thought the time might be ripe by 1965 to begin work on a 10- or 12-man orbiting station. Instead, NASA accepted the arguments of engineers John Houbolt and William Michael that the mission could be done more quickly by launching from the Earth’s surface directly to the vicinity of the Moon, there detaching a landing craft that later would return to rejoin the vehicle orbiting the Moon. This technique of lunar orbit rendezvous did save time and helped ensure American victory in the Moon race. However, it did not leave behind the building blocks for a continuing presence in orbit. Although the Moon race may have hastened the first journey of humans to another world, it also may have postponed the realization of the classic agenda, and of a permanent human presence in space. With the sudden expansion of the spaceflight field came a growth and diversification of space interest organizations. By the 1950s, the American Rocket Society (ARS) had thousands of members, placing increasingly strong emphasis on rocketry and its missile applications rather than on space travel, and tending to be more stringent about technical credentials for membership. In the view of some who belonged to the ARS, it lost much of its adventurous quality and became relatively conservative. In 1963, the ARS merged with the Institute of the Aeronautical Sciences to form the American Institute of Aeronautics and Astronautics, which became the largest American organization of aerospace professionals (see Chapter 2). In 1953, space enthusiasts and British Interplanetary Society members Hans J. Behm and James H. Rosenquist called the first meeting in New York City of “an American counterpart to the British Interplanetary Society.” In January 1954, this became the American Astronautical Society (AAS), whose intent was to emulate some of the speculative and visionary qualities of the British organization. The AAS grew to be a respected technical society in the space field, holding numerous conferences and putting out the highly technical Journal of the Astronautical Sciences, as well as useful series of books on the history of astronautics and other subjects. Many individual AAS members were actively involved in turning the spaceflight revolution into space programs during the 1950s and 1960s. 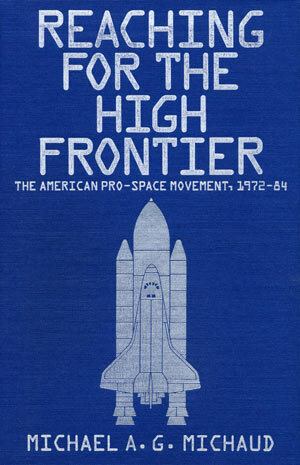 After the cutbacks in the American civil space program in the late 1960s and early 1970s, however, AAS membership dropped to about 500. To some, the society seemed headed in the same conservative direction as the old ARS. During a 1979 symposium on the society’s history, its activist President Charles Sheffield warned that the AAS was aging and was getting out of touch with the younger generation of space enthusiasts. As we will see later, the AAS has since made something of a comeback. Sputnik prompted the formation of additional space interest groups. At the time of the launch, Erik Bergaust (later to be Wernher von Braun’s biographer) founded the National Rocket Club. In 1964, this became the National Space Club, a Washington, D.C.-based organization which came to be composed largely of the Washington representatives of aerospace companies and other NASA and defense contractors. By 1983-84, the club had grown to include about 800 members. David Wilkinson, president of the club for that year, described it as “the marching and chowder society of the space community in Washington.” The club is best known for hosting briefings by prominent individuals in the space field, usually at business lunches on Capitol Hill, and for its Goddard Dinner every March, the social event of the year on the Washington space interest calendar. The club also presents awards in a number of space-related fields and a scholarship to the winner of the annual Goddard essay contest. Another product of Sputnik was the National Association of Rocketry (NAR), founded by engineer and writer G. Harry Stine in 1957. The NAR, which had no connection with the ARS, was intended to get young people involved and to promote competition and safety in the launching of rockets by hobbyists. According to Stine, the NAR in 1984 had 3,000 members all over the United States. Although it has no conscious connection with the pro-space movement, Stine notes that he finds NAR graduates in the halls of NASA. Science fiction writer Jerry E. Pournelle, a leading figure in one of the new citizens space interest groups of the 1970s, recalls a lesser-known organization of the 1950s called the Society for the Advancement of Space Travel (SAST). Consciously modeled on the Verein fur Raumschiffahrt, the SAST included some old VFR members such as von Braun and Willy Ley. In Pournelle’s view, it provided an alternative to the ARS, which was very strict about credentials for membership. At one time, he states that the SAST had about 600 members. However, Pournelle recalls that the society simply ceased to exist after the Moon landing decision. Its members thought the job had been done. It is difficult for us to recall now the scale of Project Apollo in relation to its time. If it had been done in 1983, it would have cost an estimated $82 billion. Project Apollo involved not just NASA and its employees but also hundreds of firms on contract; it was an unprecedented peacetime mobilization of skilled manpower, in a partnership among government, industry, and academia. At its peak in fiscal year 1965, NASA employed over 400,000 people directly or through contractors and absorbed an estimated 5 percent of the nation’s scientific manpower. New York Times columnist Arthur Krock called the space program the biggest public works and employment operation ever instituted in this country. Such a massive effort, intended in part to upgrade American technology and American economic competitiveness, was bound to have an impact on American society; NASA official Hugh Dryden once described it as “an instrument of social change.” Historians once compared the space program to the railroad to examine its potential consequences for society. Federal spending on space, while spread over most states, tended to be concentrated geographically in the South and the Southwest. California became the leading “space state,” in the same way it had dominated aircraft manufacture in previous years. Contract firms sprang up around all the NASA centers. The Moon landing program also had a considerable psychological impact, magnified by television and other mass media. Millions of Americans were exposed regularly to images of real people walking in space or on the Moon. Much of the language of space entered the American vocabulary, and much of the imagery entered the American imagination. Spaceflight became something familiar, an accepted feature of American life. Younger Americans, particularly those in the “baby boom” generation (born between 1946 and 1964), grew up with space and were less likely than their elders to see spaceflight as an alien or outlandish concept. Project Apollo raised hopes. It suggested a brilliant, positive future for America through ennobling goals, the use of cooperative social effort, and the application of high technology. “If men can visit the Moon — and now we know that they can — then there is no limit to what else we can do,” said Senator Abraham Ribicoff in 1969. “Perhaps that is the real meaning of Apollo 11.” Space appeared to offer a new, achievement-oriented agenda, both exciting in the near term and transcendental in its implications. There also were strong transnational elements in the image of astronauts as envoys of humanity, particularly at that unique collective moment when people all over the world watched or listened as Americans touched the Moon. The space adventure seemed to many an opportunity for humans to rise above the issues that divided them, a chance for a new start in a pristine environment. Pro-space people, believing that the tide of history was with them, made extremely optimistic predictions about achieving the goals in the classic agenda for spaceflight. As early as 1958, von Braun’s team at the Army Ballistic Missile Agency put together a plan that foresaw a space station in 1962, a manned lunar expedition by mid-1965, a permanent Moon base by 1973, and a manned expedition to a planet by 1977. Even after the first two steps in the classic agenda were bypassed when we went directly to the Moon with expendable rockets, space visionaries remained hopeful. In his 1970 book about the human future on the Moon, Where the Winds Sleep, technical publisher and space advocate Neil Ruzic predicted a U.S. lunar base by 1975, a Russian landing on Mars in 1981, and lunar cities by 2015. Unfortunately for the space advocacy, the Moon landing program had political feet of clay. A program that was created primarily to satisfy political needs could fall when those needs were met. A program with only one specific goal, not part of a larger, agreed-on design, was vulnerable to termination when that goal was achieved. A program that reflected a new societal priority was in danger when societal priorities changed. An expensive program without strong interest groups lobbying for it was vulnerable by definition. In many minds, the space program became synonymous with a politically motivated race to the Moon — something most space advocates had never intended and that few had foreseen. Project Apollo provided a high profile target for critics of the space program. 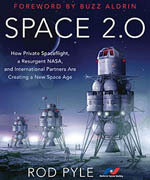 A number of liberal intellectuals saw the Moon race as a Cold War phenomenon and a misallocation of national priorities; sociologist Amitai Etzioni called it a “Moondoggle.” There were criticisms directed at a “space lobby” made up of NASA and its contractors, as if it were the space analog of the “military-industrial complex.” Both NASA and the aerospace industry came under harsh attack after the Apollo fire of January 1967, which killed three astronauts. The leaders of the House and Senate space committees played a crucial role in preventing this from doing serious political damage to the space program, but disillusionment remained. That disillusionment grew during the late 1960s, partly because other priorities were demanding national attention and federal government resources. The Vietnam war was draining the national treasury and dividing opinion. Riots in the cities called for more work on urban problems and minority group issues. Negative trends seemed to peak in 1968, with a psychological if not military setback in Vietnam because of the Tet offensive, the assassinations of Martin Luther King and Robert Kennedy, the riot at the Democratic Convention in Chicago, and student unrest. Meanwhile, other constituencies were pressing for a larger share of the federal budget. The late 1960s and early 1970s also saw rising criticism of major technological enterprises. NASA, much admired when support for advanced technology ran high, was much criticized when prevailing attitudes changed. There were heightened demands for democratic control over big technology and for analyses that showed that technological endeavors were worth their cost. Underlying much of the disillusionment with the space program was a sense of frustrated hope. The idealistic vision many held of the space enterprise had been marred by politics and by public criticism of NASA and its contractors. There also was frustration with the elitist nature of spaceflight. The early astronauts were chosen from a narrow sector of society, and the number of people who actually went into space was very small. Even for space enthusiasts, the space adventure remained vicarious. Once the novelty wore off and the race to the Moon was won, the public sense of participating in a collective effort declined. For many of those attracted to the space dream, the idea of alternate worlds had been brought into question by unmanned scientific spacecraft that showed Venus to be a furnace beneath its clouds and Mars to be a desert under its thin, cold atmosphere. For many, the vision of Mars as a smaller, exotic Earth was destroyed in 1965, when Mariner 4 sent back pictures of a barren, cratered surface looking much like the Moon. Even within the community of people directly involved with space exploration, issues appeared that reflected fault lines persisting to this day. One of the most basic went to the heart of the spaceflight dream: should space exploration be conducted by men or by machines? Many scientists argued that human presence generally was not necessary and made missions too complex and expensive. President Kennedy’s Scientific Advisory Council had not supported a Moon landing. In an August 1968 report, the Space Science Board of the National Academy of Sciences stated, “We are unable to identify a need in planetary exploration, in the foreseeable future, for the unique capabilities of Man.” Spaceflight advocates, by contrast, argued that humans had a versatility no machine could match and that manned missions stirred more public support for space exploration. There also was recurrent debate over whether space should be used for activities that, to some, appeared less noble than exploration and research, particularly military and commercial uses. There was an implication that “the heavens” were different and should not be sullied by some of the more competitive aspects of human behavior. Some critics of the American space program saw it as excessively nationalistic and called for greater emphasis on cooperative international ventures in space. All these themes reappeared forcefully by the early 1980s. In constant dollar terms, NASA’s budgets peaked in fiscal years 1964 and 1965, when the research and development costs of the Moon landing program were at their height. After that, civil space program funding went into a prolonged downslide that lasted for ten years, finally bottoming out in fiscal year 1975 at less than one third of the peak (Figure 0.1). The cutting back of the civil space program, begun under Lyndon Johnson, was continued under Richard Nixon. The Nixon administration, which took office in January 1969, was looking for budget economies; the space program, closely associated with two Democratic presidents, was a tempting target. By 1969, it was clear that NASA needed a post-Apollo agenda. In that year, James Webb was replaced as administrator of NASA by Thomas Paine, a strong advocate of a visionary future in space centered on a space station, which would make permanent the presence of Americans beyond the Earth. In February 1969, President Nixon had directed a Space Task Group of senior officials to provide him with future space program options. That September the group published a report entitled The Post-Apollo Space Program: Directions for the Future. For manned spaceflight, this group proposed a space transportation system consisting of a “shuttle” operating between the Earth’s surface and low Earth orbit, a “space tug” for moving men and equipment to other orbits, and a nuclear stage for transporting men, spacecraft, and supplies between Earth orbit and lunar orbit, or to more distant destinations. In addition, the group proposed a 6- to 12-person space station, followed by a space base of 50 to 100 people, a lunar orbiting station, and a lunar surface base. As a focus for the development of new capabilities, the group recommended that the United States accept the long-range option or goal of manned planetary exploration, with a manned Mars mission before the end of the century as the first target. The first three of the four broad options presented to the president offered this agenda on different time scales, depending on the level of funding; the fourth included no manned spaceflight. Source: Adapted from a chart in The Post-Apollo Space Program — Directions for the Future: Space Task Group Report to the President, September 1969 (Washington, D.C.: National Aeronautics and Space Administration, 1969). From the point of view of many spaceflight advocates, this was a splendid plan, a formalization of the classic agenda using efficiently modular components. However, it was politically unrealistic. The Nixon White House praised the Space Task Group’s vision privately but said it was far too expensive and pared it down to one major manned spaceflight project. It came to a choice between the space station, which was the heart of NASA’s near-term agenda, and the Space Shuttle. Former NASA Deputy Administrator Hans Mark recalls a crucial meeting in NASA headquarters, when Wernher von Braun said the choice must be the Shuttle, because it was technically more difficult; once the Shuttle was in operation, the station would follow naturally. Space policy scholar John Logsdon adds that NASA’s leadership realized that the Shuttle was the program more likely to get Presidential and congressional approval. Military interest in a space transport vehicle also was a factor. Applying economic criteria to space, studies were commissioned that showed that the Shuttle would save money in the long run. One of the leaders of those studies was the Austrian-born economist Klaus Heiss, who later became a prominent advocate of commercial alternatives to government space programs. Even after a decision was made to go ahead with the Space Shuttle program, NASA did not get what it had wanted: a two-stage vehicle, with both stages piloted and reusable. In mid-1971, the Office of Management and Budget indicated a budget level for NASA that made it impossible to proceed with the initial design. Frequent redesigns and disagreements continued until a few days before President Nixon announced his decision to proceed with a Space Shuttle on January 5, 1972. In effect, the president had chosen the minimum pace for American manned spaceflight, falling between the Space Task Group’s option III and no manned spaceflight at all (Figure 1.1). The shuttle also was threatened in Congress, where Senators Walter Mondale and William Proxmire led a campaign against it, at one point nearly succeeding in killing the program. The space program’s friends in Congress, such as Chairman Clinton Anderson of the Senate Space Committee and Chairman Olin Teague of the House Space Committee, played an important role in the Shuttle’s defense. To many advocates of manned spaceflight, the year 1972 was a symbolic turning point. It was the year of the last manned mission to the Moon, Apollo 17, which flew in December of that year (three other planned Apollo missions were cancelled by the Nixon administration). Once the astronauts returned to Earth, America’s outward thrust into space seemed stalled. There was no approval for a space station or a Moon base, and the idea of landing humans on Mars appeared to be dead. Although approved, the Space Shuttle was not expected to fly until the late 1970s. Wernher von Braun, who had moved from the Marshall Space Flight Center in Alabama to NASA headquarters in Washington in 1970, found his plans frustrated, and he retired in June 1972. Under pressure to be more “relevant,” NASA increased its emphasis on Earth-oriented applications of space technology. For space advocates, the dream of realizing the classic agenda within their lifetimes seemed remote once again. Morale in the pro-space community sank to a low point in the early and middle 1970s, with plaintive cries, resentment, and wistful reminiscences marking much of the literature. Today, many space activists regard the 1970s as a kind of dark age, when budget constraints and short-sighted politicians held back the manned space program, seriously delaying its next steps. “We lost ten years,” says science fiction writer Ben Bova, who became President of the National Space Institute in 1983. Pro-space Republican Congressman Newt Gingrich of Georgia agreed, in a March 1984 speech at the National Space Club’s Goddard dinner: “I want to refer to the last decade as the lost decade,” he said. In Gingrich’s opinion, this was so for three reasons: (1) because of the welfare state culture, (2) because C. P. Snow’s “two cultures” came to pass (Gingrich referred to the “the Ludditism of the intelligentsia”), and (3) because space interest groups failed to organize politically. In fact, there was reason for hope. Apollo systems and hardware derived from them were used in a temporary space station called Skylab in 1973 and 1974. An inspired piece of improvisation, Skylab showed that men could live and work in orbit for months at a time, in much more comfortable conditions than those suffered by the Mercury, Gemini, and Apollo astronauts. There in the mass media were images of Americans in space, saving a partly crippled Skylab with ingenuity and pluck, living in a shirt-sleeve environment, even having fun. (Meanwhile, the Soviets had put up their first Salyut space station in 1971, although they encountered difficulties in making it operational and were, as usual, less generous in media coverage.) In 1975, Apollo technologies were used in the Apollo-Soyuz mission, in which an American spacecraft docked with a Soviet vehicle in orbit. American and Soviet planetary exploration reached new high points during the 1970s, the peak of an era of exploration that Carl Sagan has compared to the European voyages of discovery centuries before. Extraordinary robot spacecraft, navigated across millions of miles of interplanetary space, sent back wonderful imagery of other worlds, particularly Mars. In 1971, Mariner 9 revealed a rugged planet of huge volcanos, giant valleys, and global dust storms, far more interesting than the cratered desert implied by earlier missions. Viking spacecraft orbited and landed on Mars in 1976, showing us for the first time what it would be like to stand on the Red Planet’s surface and scan its horizon. Images from the Viking orbiters suggested that water once had flowed on Mars and that it today may lie frozen in large quantities beneath the surface. Mars began to look like a friendlier place, where human habitation might be possible after all. 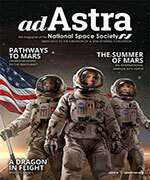 The idea of manned expeditions to Mars, officially abandoned by NASA in 1971, was subtly revived. Soviet Venera craft landed on the surface of Venus and sent back our first images of that barren landscape. Meanwhile, Pioneer 10 and 11 flew outward through the asteroid belt to Jupiter, giving us our first close views of that gas giant planet in 1973 and 1974; Pioneer 11 flew on past Saturn. The more capable Voyagers 1 and 2 sent back spectacular pictures of Jupiter and its moons in 1979 and of Saturn and its satellites in 1980 and 1981. The exploration of the solar system was well begun. To advocates of manned spaceflight, to those infected by the space dream, new worlds seemed tantalizingly closer. Above all, NASA survived. Even after its budgets bottomed out in real terms in 1975, NASA still was an agency with more than 20,000 government employees and more than 100,000 others working under contracts, a budget of several billion dollars a year, and interesting programs. “We were not in an out of business phase,” says astronaut Joseph P. Allen, who directed NASA’s congressional relations in the late 1970s. Within NASA, individuals kept spaceflight ideas alive in the hope of better times. To some degree, the “lost decade” was a pause between generations of technology. NASA had its problems with the development of the Space Shuttle, particularly with the very advanced engines in the tail of the Shuttle orbiter. There were delays, and the Shuttle’s first flight slipped into the early 1980s. These problems, and the underfunding of the project, required NASA to ask for more money, and other NASA programs were affected by transfers within the space agency’s budget. Space scientists in particular were angered by delays in their projects caused by the problems of the Shuttle.58 Yet there was an implied positive message for the advocates of spaceflight. The first step in the classic agenda was coming, a largely reusable spacecraft that would give Americans regular access to space. T. E. Lawrence, as quoted in Arthur C. Clarke, The Challenge of the Spaceship (New York: Curtis, 1953), p. 26. John M. Logsdon, The Decision to Go to the Moon: Project Apollo and the National Interest (Chicago: University of Chicago Press, 1970), p. 130. This story is recounted more fully in Arthur C. Clarke, ed., The Coming of the Space Age (New York: Meredith Press, 1967), pp. 106-7. See Jules Verne, From the Earth to the Moon and Around the Moon (Philadelphia and New York: J. B. Lippincott, 1962); Kurd Lasswitz, Two Planets, trans. Hans H. Rudnick (New York: Popular Library, 1971). See especially Percival Lowell, Mars and Its Canals (New York: Macmillan, 1906); Percival Lowell, Mars as the Abode of Life (New York: Macmillan, 1908); and Edgar Rice Burroughs, John Carter of Mars (New York: Ballantine Books, 1970). Konstantin Tsiolkowsky’s first important work was Dreams of Earth and Heaven (Moscow, 1895). Hermann Oberth’s first important work was The Rocket into Interplanetary Space (Munich: R. Oldenbourg, 1923). The film was Frau im Mond, which premiered in October 1929. On these early societies, see Frank H. Winter, Prelude to the Space Age: The Rocket Societies, 1924-1940 (Washington, D.C.: Smithsonian Institution Press, 1983) and William S. Bainbridge, The Spaceflight Revolution (New York: John Wiley & Sons, 1976). Bainbridge, Spaceflight Revolution, p. 127. G. Edward Pendray, The Coming Age of Rocket Power (New York: Harper & Brothers, 1945), p. 227. See Clayton R. Koppes, JPL and the American Space Program: A History of the Jet Propulsion Laboratory (New Haven: Yale University Press, 1982). Winter, Prelude to Space Age, p. 15. Walter A. MacDougall, “Technocracy and Statecraft in the Space Age – Toward the History of a Saltation,” American Historical Review 87 (1982):1010-40, 1011. Bainbridge, Spaceflight Revolution, pp. 45-85. It should be noted that Winter has questioned this thesis. See Frederick I. Ordway III and Mitchell R. Sharpe, The Rocket Team (New York: Crowell, 1979). Koppes, JPL and American Space Program, pp. 40-41. See Homer E. Newell, Beyond the Atmosphere: Early Years of Space Science (Washington, D.C.: National Aeronautics and Space Administration, 1980), pp. 46-49 and Jay Holmes, America on the Moon: The Enterprise of the Sixties (Philadelphia: J. B. Lippincott, 1962), pp. 46-47. Holmes, America on the Moon, p. 74. See, for example, J. N. Leonard, Flight into Space (New York: Signet, 1954), p. 51. See James Gunn, Alternate Worlds: The Illustrated History of Science Fiction (New York: Visual Library, 1975), pp. 225-26. Konstantin Tsiolkowsky’s “fourteen points” are listed in a footnote in Nicholas Daniloff, The Kremlin and the Cosmos (New York: Knopf, 1972), p. 20. Interview with Gary Paiste, January 9, 1984. Interview with Thomas 0. Paine, February 9, 1984. Tom Wolfe, The Right Stuff (New York: Farrar, Straus, & Giroux, 1979). Mary A. Holman, The Political Economy of the Space Program (Palo Alto, Calif.: Pacific Books, 1974), p. 247. Logsdon, Decision to Go to the Moon, pp. 64-130. Holmes, America on the Moon, p. 32. Their advocacy is briefly described in Kenneth Gatland, et al., The Illustrated Encyclopedia of Space Technology: A Comprehensive History of Space Exploration, (New York: Salamander Books, 1981), pp. 156-57. Eugene M. Emme, ed., Twenty-Five Years of the American Astronautical Society: Historical Reflections and Projections (San Diego: Univelt, 1980 [AAS History Series, volume 21), pp. 165-69. Interview with G. Harry Stine, April 5, 1984. Interview with Jerry E. Pournelle, February 8, 1984. According to the Encyclopedia of Associations, the SAST still had 30 members in 1984. Speech by Congressman Daniel Akaka to the Federal Bar Association, November 3, 1983. The figure comes from NASA. Holman, Political Economy of Space Program, p. 191. As quoted in Amitai Etzioni, The Moondoggle: Domestic and International Implciations of the Space Race (Garden City, N.Y.: Doubleday, 1964), p. 93. Hugh Dryden, as quoted in Edwin Diamond, The Rise and Fall of the Space Age (Garden City, N.Y.: Doubleday, 1964), p. 71. Bruce Mazlish, ed. The Railroad and the Space Program: An Exploration in Historical Analogy (Cambridge, Mass. : M.I.T. Press, 1965). Abraham Ribcoff, quoted in Congressional Quarterly, July 25, 1969, p. 1311 and in The Futurist, October 1969, p. 123. Koppes, JPL and American Space Program, p. 94. Neil Ruzic, Where the Winds Sleep: Man’s Future on the Moon (Garden City, N.Y.: Doubleday, 1970). The incident is described in some detail in David Baker, The History of Manned Spaceflight (New York: Crown, 1981), pp. 273-91. Interview with Thomas O. Paine. Quoted in Erlend A. Kennan and Edmund H. Harvey, Jr., Mission to the Moon (New York: Morrow, 1969), p. xvii. James Michener, Space (New York: Random House, 1982), p. 414. See Logsdon, Decision to Go to the Moon, p. 140. Quoted in Kennan and Harvey, Mission to the Moon, pp. 306-7. Forward by Ralph E. Lapp in Kennan and Harvey, Mission to the Moon, p. xiv. The Post-Apollo Space Program — Directions for the Future: Space Task Group Report to the President, September 1969 (Washington, D.C.: National Aeronautics and Space Administration, 1969). Interview with Hans Mark, August 21, 1984. John M. Logsdon, “The Space Shuttle Decision: Technology and Political Choice,” Journal of Contemporary Business, 7 (Summer 1978):13-30, 14. Speech by Newt Gingrich at the National Space Club’s Goddard Dinner, March 16, 1984. See Leland F. Belew, ed., Skylab: Our First Space Station (Washington, D.C.: National Aeronautics and Space Administration, 1977); and Henry S. F. Cooper, A House in Space (New York: Holt, Rinehart, & Winston, 1976). A Soviet view of the project was presented in English by Lev Lebedev and Alexander Romanov, Rendezvous in Space: Soyuz-Apollo (Moscow: Progress, 1979). Interview with Joseph P. Allen, March 14, 1984. For one overview of these problems, see R. Jeffrey Smith, “Uncertainties Mark Space Program of the 1980’s,” Science 206 (1979):1284-86.